Astaria and her older brother, Reyus, escaped Stralus IV during a power struggle between Lumoran factions. Traumatized by the events that led to their escape, Astaria has lost her memory of it. On the trade ship they now call home, Astaria relies on Reyus to earn their keep. 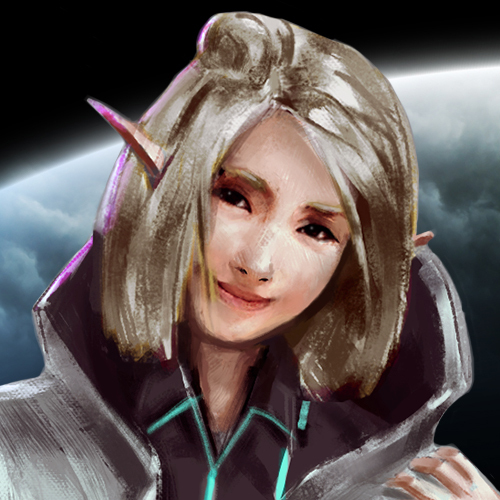 Despite serving no technical role on board, her child-like energy and bright demeanor have solidified her place as the crew’s little sister.